'94 GOLDWING Aspencade, only 30k mi, exc cond, helmets with intercom, dust cover, cycle shell storage, & more! $5000 takes all. 509-946-0915. TriCities. 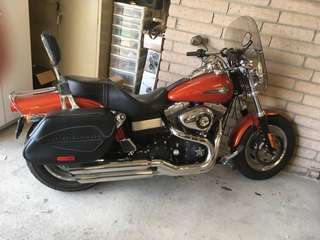 2012 YAMAHA VSTAR 1300: only 2300 miles, hard saddlebags and windshield added, $7,200: call 541-922-8481, Hermiston. 2008 HARLEY Davidson Sportster, 1200 xl, 3086 actual miles, always garaged, no dents or scratches, $5000. 541-443-1241. 2005 Honda ST1300, runs exc, fast enough for sure! Electric windshield, aftermarket Bluetooth sound system, ports for heated gear, very comfortable ride. $4550 cash, no trades, no payments. 509-578-0621. TriCities. 2006 Harley Davidson Sportster 1200 xl: 3,080 actual miles, always garaged, no dents or scratches $5,000; 541-443-1241, Pilot Rock, OR. 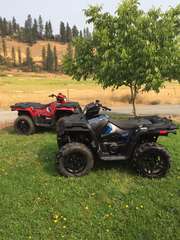 2016 CUB Cadet 700 ATV, 2 seater, 235 miles, like new, $8000 obo. 509-539-1094. TriCities. 30 GAL sprayer with hand nozzle & broadcast spray, $75; Koplin ATV basket, exc shape, $50. Call/ text, 509-263-3856. Yakima. 2003 HONDA Ruckus, 1500 orig miles, exc cond, runs good, $1100. 541-314-8727. Irrigon,OR. 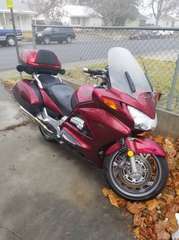 2005 HONDA GOLDWING 1800: like new, only 17,000 miles, $9,950; call 541-720-1608 or 541-934-2036, Hermiston.